Just in time for the holidays, four of Roald DahlAs most beloved bestselling books are together in one box! Charlie and Willy Wonka, Mr. Fox, and even James and his giant peach are available in this beautifully packaged gift set. All of the books are charmingly illustrated by Quentin Blake. 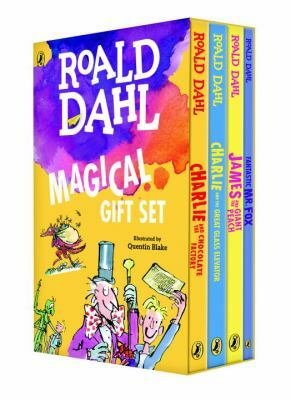 This Roald Dahl gift set is the perfect gift for longtime fans and newcomers alike!